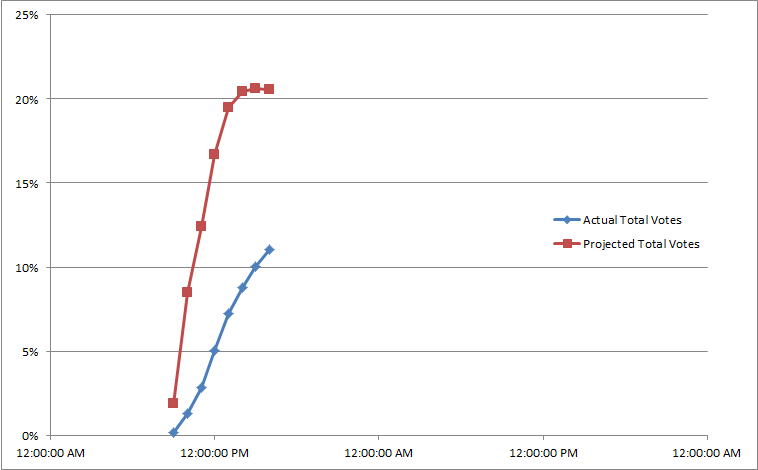 Here are two new graphs, updated as of this morning. 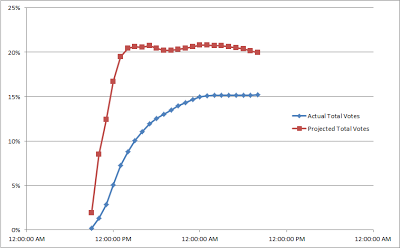 If you compare the first one with the previous set of graphs, you can see that it generally followed the predicted trend in shape, but was just slightly lower than anticipated. 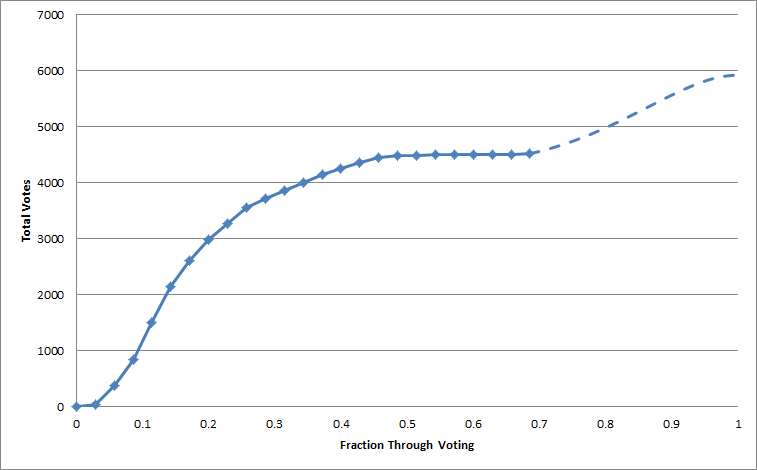 After last year's election, I mentioned that when you look at the trends in voting behaviour between various elections, they're almost always the same. 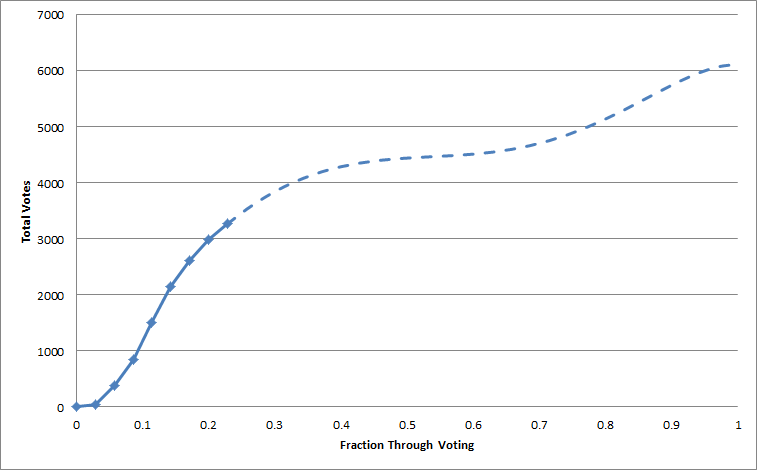 In fact, if you overlaid them (and corrected for length of election and total number of voters), they were very nearly identical. What's really cool about this is that if you know the turnout at any given time, you can try to project the total voter turnout by the end of the election (assuming that the pattern holds this year). Check it out. I have two graphs. 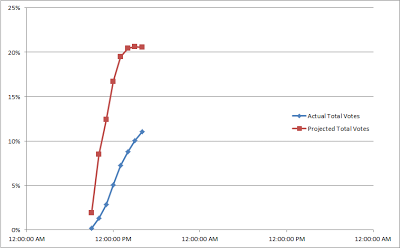 The first one shows the total turnout so far (solid line) and the project turnout based on the curve from previous elections (dashed line). 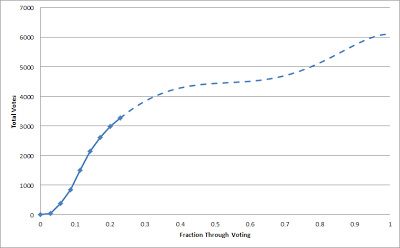 And the second one compares turnout to projected turnout. 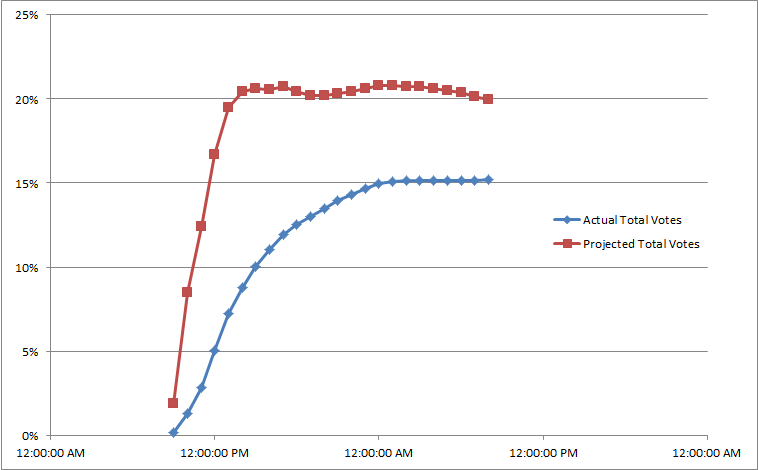 What's really cool about the second one is that the projected value hasn't deviated by more than a couple percent hour-to-hour for the last couple of hours. This suggests that the trend from the last couple of years has been followed pretty closely for a while now, although the beginning of the day was slower than anticipated.